Last Thursday the 10th to Sunday 13th was pretty busy for me, as I was travelling between Birmingham, London and East Horsley in Surrey in four days! On Thursday, I caught the early morning train to London where I carried out my first public appointment as GMiA Executive Board member. 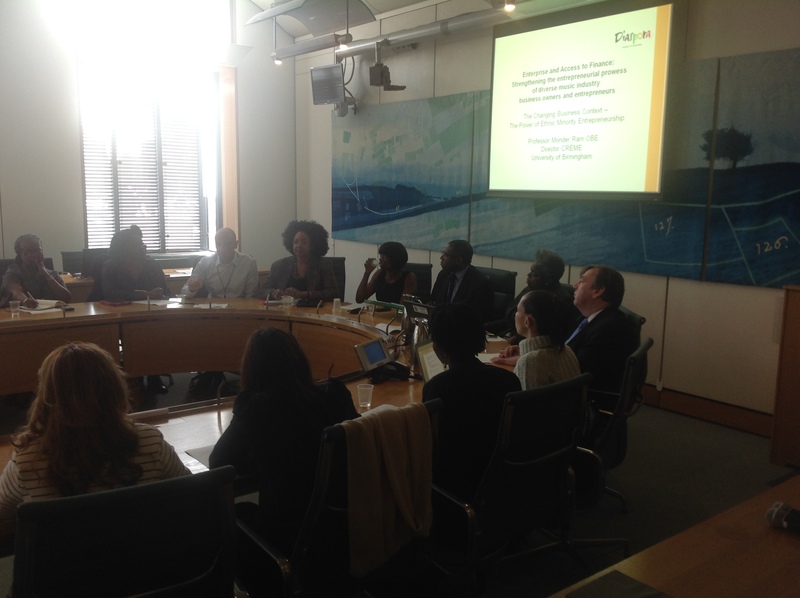 I attended a round table discussion at Portcullis House – Parliament about building a more diverse workforce, from operational to strategic level, in the UK Music Industry. This event was spearheaded by Diaspora and chaired by the Rt Hon David Lammy MP of Tottenham. Straight after this meeting I had a GMiA planning meeting in Euston for the up and coming Gospel Summit. Rose Nunu (Diaspora), Rt Hon David Lammy MP (Chair) & Juliet Fletcher (GMiA) centre with Key speakers at the BAME Equalities and Diversity Round table meeting. 090414. I returned to Birmingham late afternoon, packed my bags, Saxes and equipment for heading South again the following day, this time to Surrey. The ‘Time Away With Jesus’ prayer and reflection retreat at the Devere Hotel was excellent although travelling there we encountered traffic, traffic and more traffic! The retreat was not the usually type of gig. 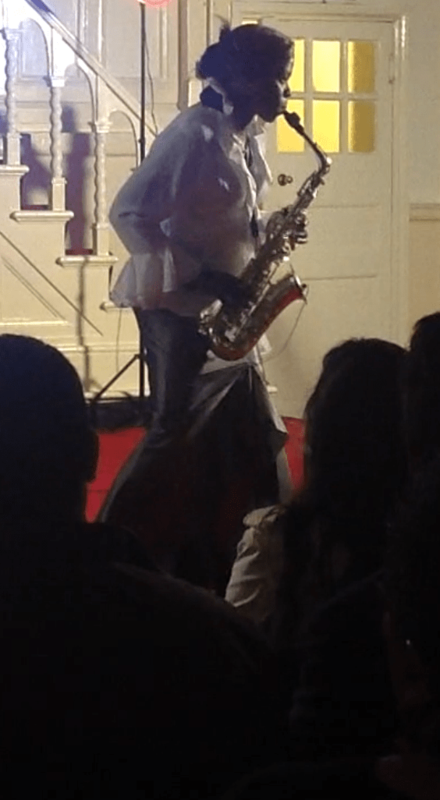 It was free flowing and I added unrehearsed material as the mood required. The keyboard player (Femi) and the worship team were excellent in supporting my on the spot requests. Thanks guys! Really enjoyable time. I left the retreat on Saturday afternoon and drove 32 miles to East London for the Grand Finale and Concert of the British Greats. The finalists in the Finale were excellent! It felt more like a pre concert rather than a competition. Mr Fred Jerkins III was present and I don’t envy the job he has in selecting amongst the excellent acts. Each of the artistes in the Concert really delivered. I played my own composition ‘It’s All Good’ and Andre Crouch’s ‘My Tribute’, both were received very well by the audience. 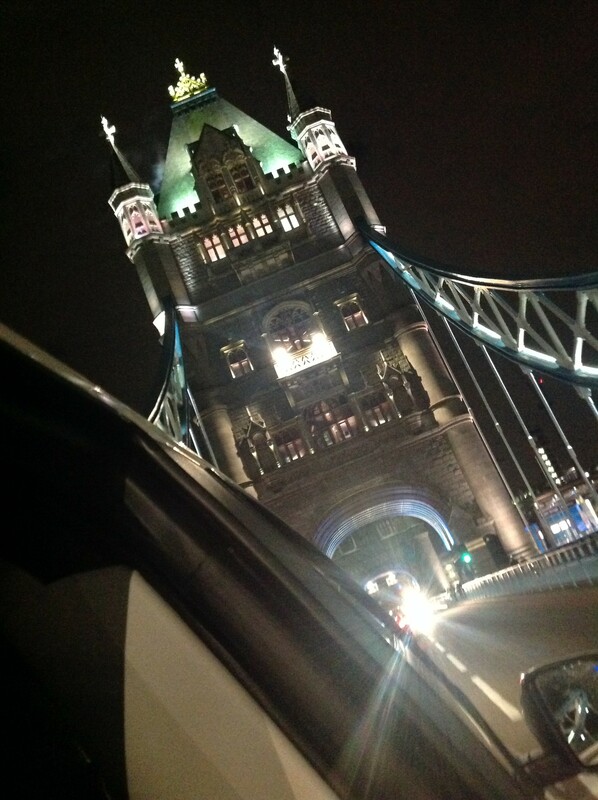 I returned to Surrey in the early hours of Sunday morning travelling across Tower Bridge – beautiful! Rested and was back to work at the retreat for 1030 am. On the trip home we took the scenic route and drove through the city of Windsor. It was nice to see the Queen’s residence. Very pretty, neat and tidy. I took a well earned couple of days off on Monday and Tuesday. I had the honor of being nominated for the Liebster award, which means that I can also nominate some bloggers. I love your blog, so I decided to nominate you! This is the link to the rules and what you have to do next! Thanks. I’ve not heard of this before. How’s the Award working for you?